Hard to turn down a free chipping lesson from Lefty himself. 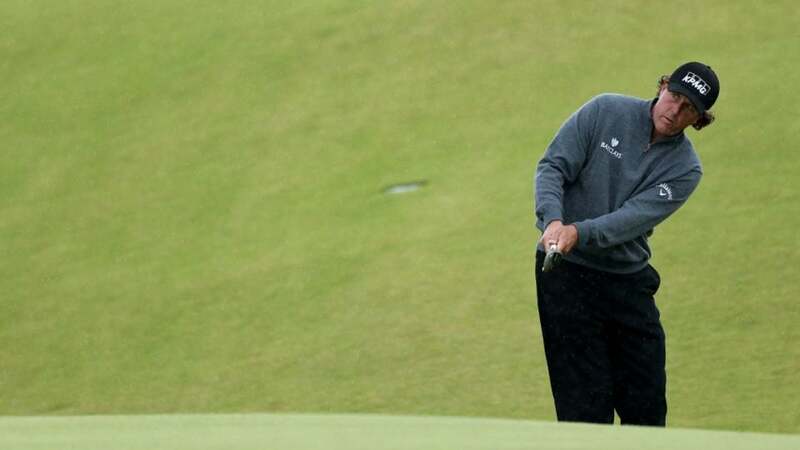 After taking a brief break from social media, presumably to bathe in the glory of his $9 million winnings from The Match, Phil Mickelson is back sharing his "fundamentals" for the short game. As you'll hear him say in the video below, Phil says that the first fundamental for the short game is to keep your weight forward and on your front foot throughout your shot. Simple enough. The second his equally simple: decide whether you want to hit the shot high or low. As Phil says, nothing really changes about the actual setup or motion of the swing. The weight is still forward, but if you want to go low, you simply move the ball back in your stance. You can see Phil hitting a low shot below. And if you want to go high, simply move the ball up in your stance and make the same motion.